Australia finally has its own minister for cities. What should be in Jamie Briggs' inbox? Another glorious day in Sydney Habour. Image: Getty. The appointment of a federal minister for cities and the built environment is a signal moment in urban policy in Australia. It is a much-needed portfolio for an overwhelmingly urban nation; but the role will need new policy capacity if the government’s urban goals are to be realised. Australian cities are among the fastest-growing in the developed world. They face problems of poor housing affordability, growing inequality, inadequate and inefficient infrastructure, unsustainable environmental demand and uneven employment distribution and productivity. Long neglected federally, urban affairs is the gaping void in 21st-century public policy. Not since 1972 has Australia seen both the Labor and the Liberal parties commit to a cities portfolio within the Commonwealth ministry. That this has now occurred under a Coalition government is especially unusual. Labor governments have been most engaged with urban questions. Curtin initiated a federal housing program and spurred states to better urban planning. Whitlam sewered neglected suburbs and stabilised fringe land markets, while Keating stimulated inner-city urban renewal. The Rudd-Gillard government boosted infrastructure and set national principles for metropolitan planning. By contrast, the short-lived McMahon government’s 1972 National Urban and Regional Development Authority is the only previous Coalition urban foray of note. As new minister, Jamie Briggs’ agenda is not yet detailed, although it looks set to focus on integration, infrastructure and greening. What could a new urban programme look like, and what are the urban reform imperatives facing the Turnbull government? The first task must surely be to develop permanent urban analytical and policy capacity in the federal public service. The Department of Environment, where the cities minister will be hosted, has almost no urban policy capability. The strongest federal urban capacity is in the Planning Analysis Branch of the Department of Infrastructure. The Turnbull government must build rapidly off this small but competent base. A second task is to create federal capacity for cross-portfolio policy coordination. A cities agenda requires federal arrangements that can link across transport, infrastructure, environment, housing, finance, education, health and social services to build a multi-dimensional policy perspective on cities. The third capacity-building task is to re-establish national coordination arrangements for urban policy. The federation gives almost all hands-on urban responsibility to the states – but the Commonwealth has the revenue. The previous Labor government worked through the Council of Australian Governments (COAG) to establish consensus principles for major city planning and investment in a largely bipartisan way. That process could be revived and improved with relative ease. A robust evidence base exists on which to ground policy directions, but it is not well linked with policy. Capability development should thus also extend to Australia’s high-quality but under-resourced university research sector. The extensive network of scholars within the State of Australian Cities Research Network could assist with this task, as could the Australian Housing and Urban Research Institute. The final capacity need is for federal policy to establish its own analytical framework. The urban sector abounds with rent-seekers. A federal urban perspective must stand above such rent-seeking to develop a sophisticated conceptual stance on how our cities work and what the levers of policy are. 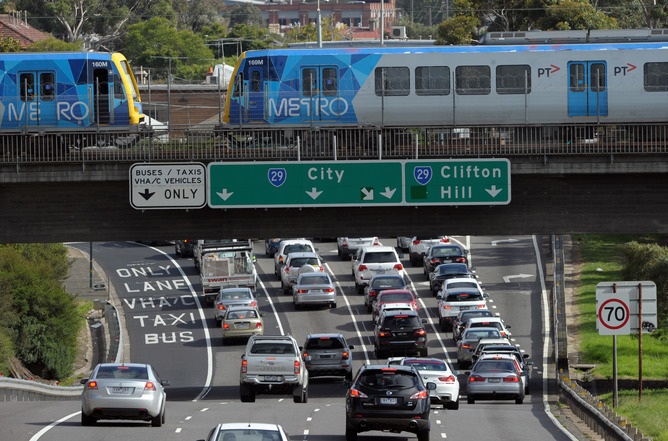 The overturning of Tony Abbott’s aversion to public transport funding is a welcome sign of progress. Public transport is vital for future urban productivity and sustainability. But new arrangements are needed to make the external urban costs of private car use more transparent – whether through road and parking user pricing, or via enhanced environmental emissions charging. Such measures need to be progressive, however, so the burden does not fall unfairly on low-income, car-dependent households with the fewest alternatives. And building infrastructure alone is unlikely to improve how our cities function. We need to make better use of existing assets, too. This includes dedicated multi-modal network coordination in public transport, as the 2009 Senate inquiry into public transport advocated, accompanied by optimisation of existing road space via conversion to high-frequency transit routes. Rail over road? Where urban policy is concerned, decisions about transport options are never far away. Image: AAP Image/Julian Smith. Further areas in urgent need of intervention are Australia’s inflated and exclusionary urban housing markets. 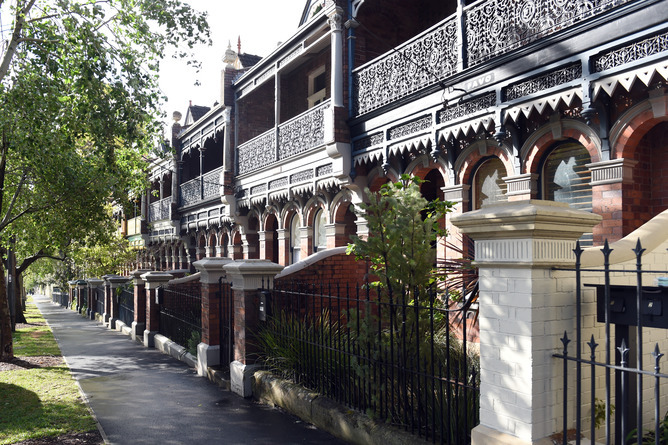 Negative gearing should be reformed as a tax credit scheme with transparency to ensure the value of the concession is targeted to the most needy urban renters. We also need an urban taxation regime that captures the value gains from federal investment. Land value uplift from infrastructure investment should not accrue to private interests, but be recycled into the federal funding pool. A national approach to replace stamp duty with broad-based land taxes is also needed. This would improve the flexibility and efficiency of urban housing markets while retaining a financing stream for urban investment. Land tax should be progressive, so it targets land value and housing wealth, not housing consumption. A progressive capital gains tax on owner-occupied housing could also be applied to dampen price inflation and raise new public revenue. Similarly, a national approach to inclusionary zoning mechanisms for affordable housing would also help to ensure urban redevelopment creates new social housing supply. Fixing the housing bubble is a key urban challenge. Image: AAP Image/Paul Miller. As a suburban nation Australia faces serious gaps in how it plans new suburbs and renews existing areas. A national suburban policy is needed to improve the quality of fringe development, and facilitate the renewal of ageing middle suburbs for new housing. Employment distribution in Australian cities is highly uneven. Ready access to high-quality jobs is increasingly the preserve of inner-urban households. Federal support for expansion of suburban employment nodes linked to public transport could ensure more higher-quality jobs are closer to the places households live. Ensuring land-use zoning does not exclude workers from job-rich middle suburbs is a further task. Reform of the planning arrangements for our cities is desperately needed. National principles for metropolitan planning, as COAG established in 2009, are not unhelpful. But we need governing entities that can plan and manage cities at the metropolitan level while providing a democratic accompaniment to the current dominance of state planning ministers. Prime Minister Turnbull has previously argued that density is the solution to our urban woes, but that poorly done density reduces amenity. High-amenity densification is possible – but the urban science on very-high-density development shows its environmental performance is often poor. In othe words, density can help to improve our cities, but only as part of carefully crafted wider changes to spatial structure via infrastructure, housing and governance reform. Density is a means, not an end in itself. Plans to expand green space and provide for biodiversity in cities must be part of any densification strategy. A sense of urgency is needed. The urban sphere is dominated by what Nicole Gurran and Peter Phibbs have called busy work, in which policy discussion and review defer substantial change. Moreover urban policy is often captive to property, infrastructure and financial interests that put their private gain over the public interest. The Turnbull urban agenda needs to be more than a talking point or vehicle for shoddy deals. Urban policy is the key policy discipline of the 21st century. It needs to be placed at the core of Australia’s federal policy arrangements. Jago Dodson is professor of urban policy and director of the Centre for Urban Research at RMIT University, Melbourne.